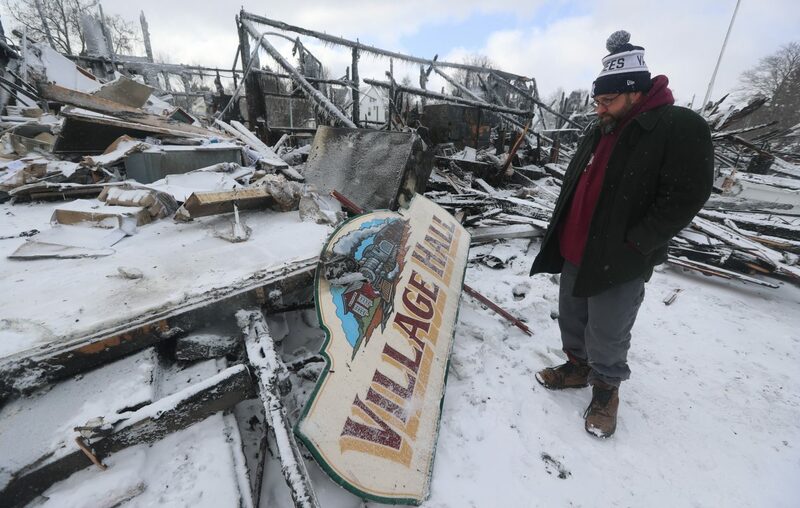 The Barker Public Library, which was destroyed in a Jan. 20 fire, issued an appeal Friday for people to stop dropping off used books at its temporary location, which is not yet open. Library president Seanna Corwin-Bradley said the library has been "inundated" by the donations. Neither it nor the village offices have any place to put the books. Corwin-Bradley said she thinks the public may have been confused by the announcement of a drop box at the temporary location in a former ceramics shop on Church Street. It was meant only for the library's books that had been borrowed before the fire. "We do not have the means to store much, if anything, so we must politely decline any further used book donations," Corwin-Bradley said. Thomas J. Prohaska – Thomas Prohaska has been a reporter for The Buffalo News since 1995. A graduate of Starpoint Central High School and St. Bonaventure University, he previously worked at WLVL Radio in Lockport.